TripAdvisor has employed personalisation and gamification techniques to attract and retain visitors to its travel recommendation website, according to the company’s director of partnerships in APAC. 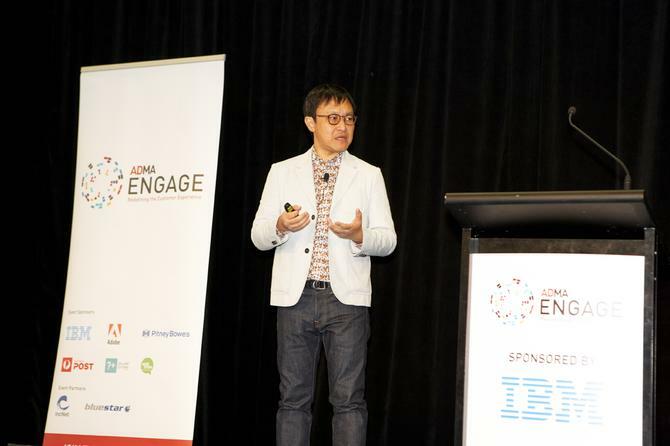 In a keynote at the ADMA Engage conference, Aaron Hung described how TripAdvisor constantly tweaks its website and mobile app, testing new ideas to better engage customers. The company is always looking for positive and negative signals and takes inspiration from other websites – and not just travel sites, he added. In the past year, TripAdvisor has rolled out a personalised search engine that takes into account the hotel preferences of users, said Hung. Users can tell TripAdvisor what they look for in a hotel, such as a pool or free Wi-Fi, and the website will order search results based on the best-rated hotels that most closely meet the user’s preferences. TripAdvisor now also automatically takes into account data it has on returning visitors including what hotels they have clicked and how they have rated them, he said. “We realised we actually knew quite a bit about our users, so why don’t we make our site better for the users?” Hung said. TripAdvisor relies on user-generated content, and a key challenge is to keep fresh reviews flowing into the website, said Hung. The company recently turned to gamification to encourage its best contributors to post more reviews, he said. Gamification employs some of the mechanics found in games to foster customer engagement. TripAdvisor did this by sending emails congratulating top reviewers for their contributions and showing how they rank against other members. While the email campaign might have praised a given user for being in the top 10, for example, the underlying message was, “Write more and you’re going to be number one,” said Hung. As a result of the campaign, TripAdvisor saw a 185 per cent lift in clickthrough rate, compared to its previous campaigns, he said. Nearly half (47 per cent) of members who opened the email wrote a review afterward, and there was a 354 per cent increase in review writing in the week that the email was sent, he said. In the end, more reviews were generated from one email campaign than the total of all reviews collected on TripAdvisor in 2010, he said. Mobile is an increasingly important area for TripAdvisor, with almost 50 per cent of traffic coming from smartphones and tablets, Hung continued. The company has been focused on increasing mobile conversions by removing friction from its smartphone app. While TripAdvisor is not an online travel agency like Booking.com or Hotels.com, referrals to OTAs are a major source of revenue. However, Hung said the booking experience has been especially “clunky” on mobile, and TripAdvisor has seen much fewer conversions from mobile than on its desktop website, he said. On the desktop website, TripAdvisor displays rates from various OTAs on each hotel page. When a user clicks, they are taken to the OTA website, where they can make a booking. On mobile, this involves several more steps including taking the user out of the TripAdvisor app and into their browser. In the last year, TripAdvisor has been testing an instant booking mechanism in the US that lets users book through a partner OTA without leaving the TripAdvisor app, he said. While tests are still ongoing, Hung said to expect the feature in other markets soon.